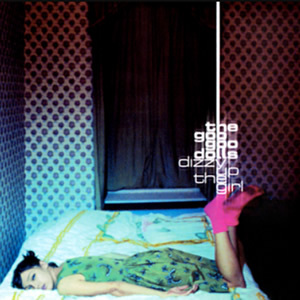 It took six albums and over a decade for Goo Goo Dolls to be propelled into international success and 1998’s Dizzy Up the Girl was that ultimate catalyst. This album features more upbeat and pop-oriented compositions than the group had recorded on their five previous albums and no doubt this helped the record to achieve its stellar commercial success. It has sold more than four million copies and reached the Top 20 on album charts in several countries. This Buffalo, New York based group was formed in the mid 1980s by guitarist/vocalist Johnny Rzeznik and bassist/vocalist Robby Takac. Their name was inspired by an ad for a toy. Once they signed with Mercury Records they used that name for their 1987 self-titled debut album. They had a loyal but mostly local fan base around the Buffalo music scene as they released several more albums through the early 1990s. Their 1995 album, A Boy Named Goo, was the first to receive national attention due to the success of the single “Name”, ultimately fueling that album towards double-platinum success. Shortly before that album’s release, drummer Mike Malinin became a permanent member of the trio. 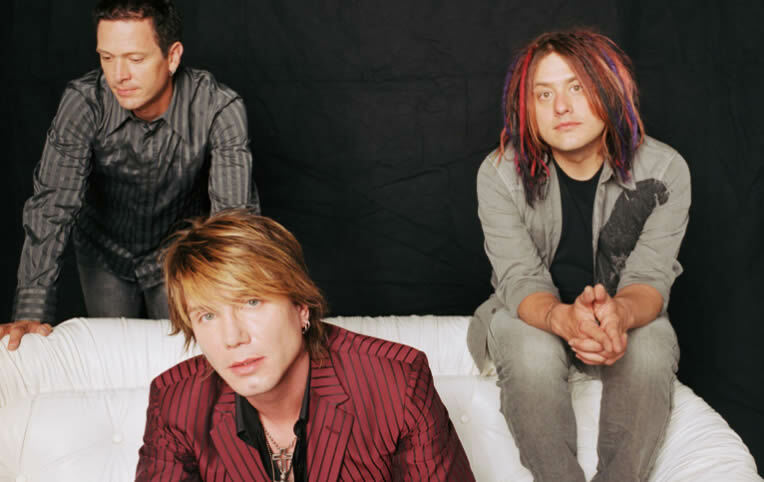 The production of Dizzy Up the Girl followed a legal battle over earned royalties and through this time Goo Goo Dolls underwent a fundamental change in sound from strictly alternative rock to a more pop and mainstream music. The album was produced by Rob Cavallo and recorded during 1997 and 1998. The opening track “Dizzy” has a T-Rex-like vocal delivery by Rzeznik with more modern, nineties rock instrumentation and, although a short track, time is given for a nice instrumental break. “Slide” is an upbeat love song built on some finely picked guitar riffing and later echoed chording. The song reached the Top 10 on the US pop charts in early 1999 and topped the charts in Canada. “Broadway” follows as a local anthem for Buffalo topped by upbeat music and melodic pop vocals. The first of four songs written by Takac where he takes lead vocals, “January Friend” has an upbeat, new wave rock vibe like the other three tracks later in the album. “Black Balloon” is a unique track with layered electric and acoustic guitars before eventually breaking into stronger rhythmic arrangement while maintaining a dreamy atmosphere throughout. The song is also one of many to feature string arrangements by David Campbell. “Bullet Proof” is a slightly dark, romantic and dramatic track with soaring vocals and much atmosphere, while Takac’s “Amigone” features a strong and present drum beat by Malinin. Following the Takac new wave track “Full Forever”, “Acoustic #3” lives up to its title as purely acoustic track by Rzeznik with some slight string arrangements which may be a bit superfluous in the otherwise simple elegance of the short track. “Iris” is the ultimate culmination of the album’s vibe with its acoustic with waltz-like beat and odd but appealing arrangement. The song was originally composed for the soundtrack of the film City of Angels and as the lead single from Dizzy Up the Girl, the song topped the pop charts in several countries. The album concludes with a couple of upbeat electric rockers, Takac’s slightly punk “Extra Pale”, and the full-fledged rocker “Hate This Place”, which completes the journey of this fine album. With five successful singles released, Dizzy Up the Girl was far more successful than any previous or subsequent Goo Goo Dolls album. Following its release, the group took their time following up, with the seventh album Gutterflower arriving in 2002. Part of Classic Rock Review’s celebration of the 20th anniversary of 1998 albums.